ENTEBBE – State House has Monday, February 25 trashed reports that President Yoweri Museveni fired his vice president Edward Kiwanuka Ssekandi. Social Media went buzzing on Sunday evening after reports indicated that Mr. Museveni had dropped Mr. Ssekandi and replaced him with Mr. Apollo Nelson Makubuya, the former 3rd deputy prime minister of Buganda Kingdom, as the new vice president. 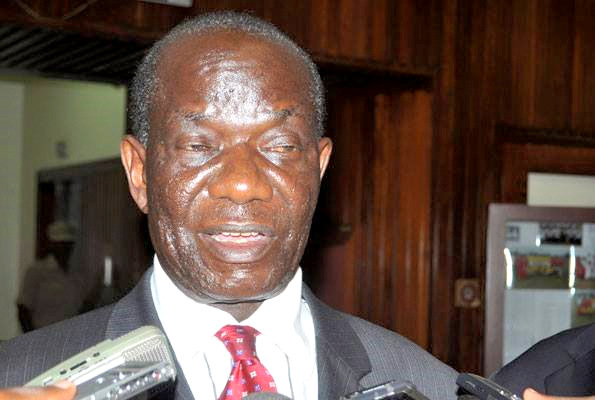 The reports also indicated that Mr. Museveni had appointed Mr. Ssekandi as a special presidential advisor on Buganda Affairs. But Don Wanyama, the senior presidential press secretary, has described the information as fake news and that it should be disregarded. “Colleagues, this has been brought to my notice. It is fake. I have not issued any such statement. Please disregard,” Wanyama said in a statement he posted on Social Media alongside the ‘fake’ WhatsApp message. Kabaka Ronald Mutebi II last week reshuffled his cabinet and named Mr. Makubuya, who was formerly the 3rd Deputy Prime Minister and minister for Justice and Constitutional Affairs, as the Chief Advisor of the Buganda Kingdom. Also notable among the Mengo changes was the appointment of Christopher Bwanika as Kingdom Attorney General replacing prominent lawyer Fred Mpanga. Early this month, there were romours that President Museveni would make Katikkiro of Buganda, Charles Peter Mayiga, the next vice president of Uganda. Mr. Mayiga, however, trashed the allegations saying they were not true. “There are rumours going on that I am going to be appointed vice president and that President Museveni met Kabaka Mutebi at his palace to inform him about the news of me being his vice. I still have work that the Kabaka assigned me to do and that is what I am doing (now),”read the post, in part.